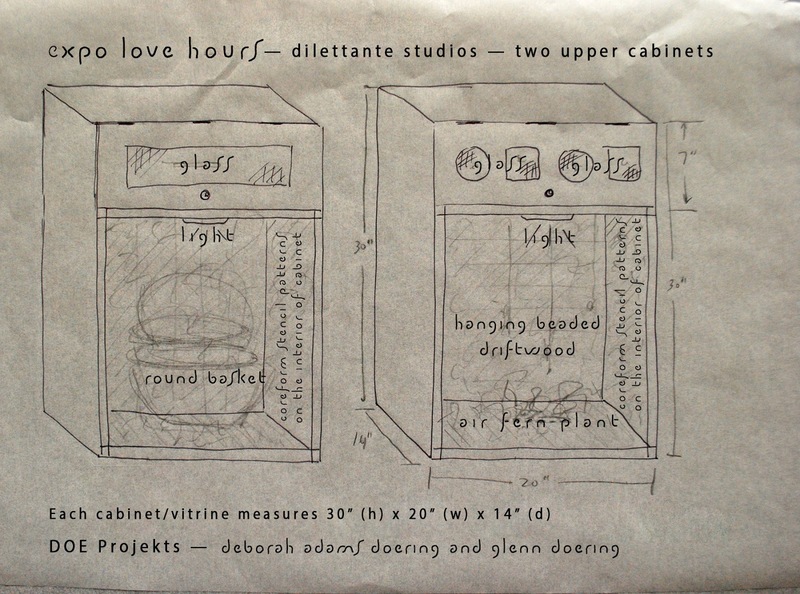 DOEprojekts: Workbook: Expo Chicago "More Love Hours"
DOE Projekts has been invited by Dilettante Studios (www.dilettantestudios.org) to participate in Expo Chicago, Navy Pier, Chicago, Sept 19 - 22. We will be part of a 20+ artist team. 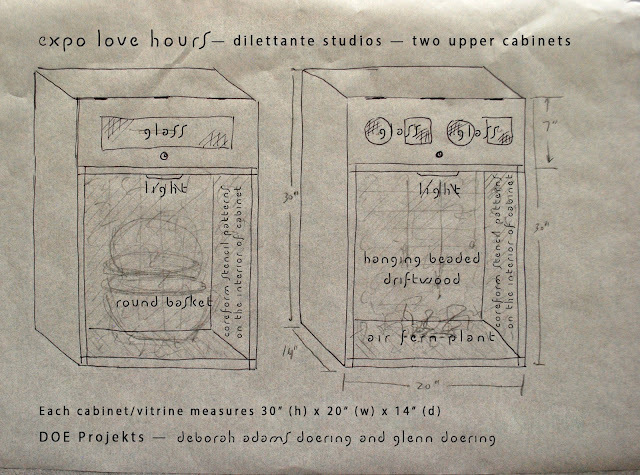 We began by sketching ideas, then communicating with John Preus, founder/director, and lead artist. 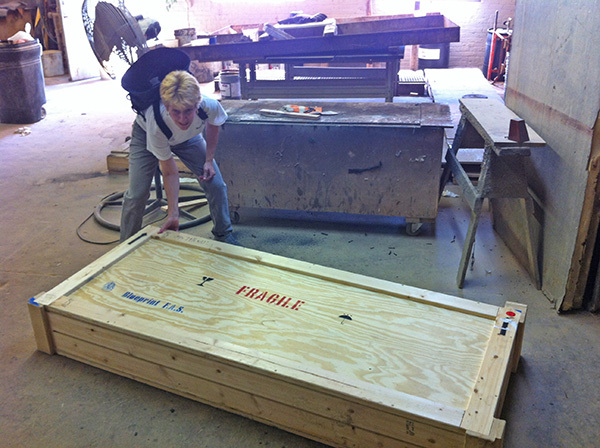 We then obtained a used crate that formerly transported a large horizontal art work. 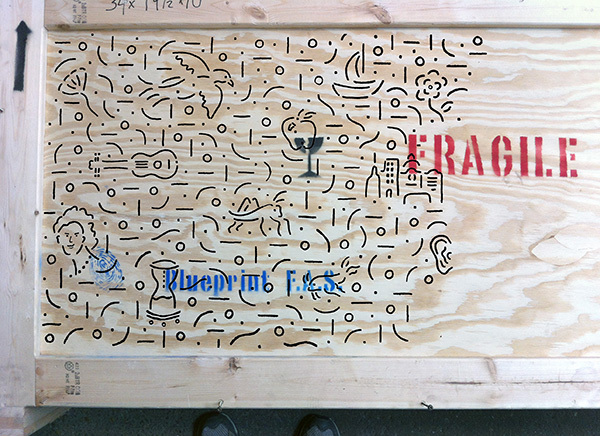 We will rebuild the crate with the help of Frank Verciglio.